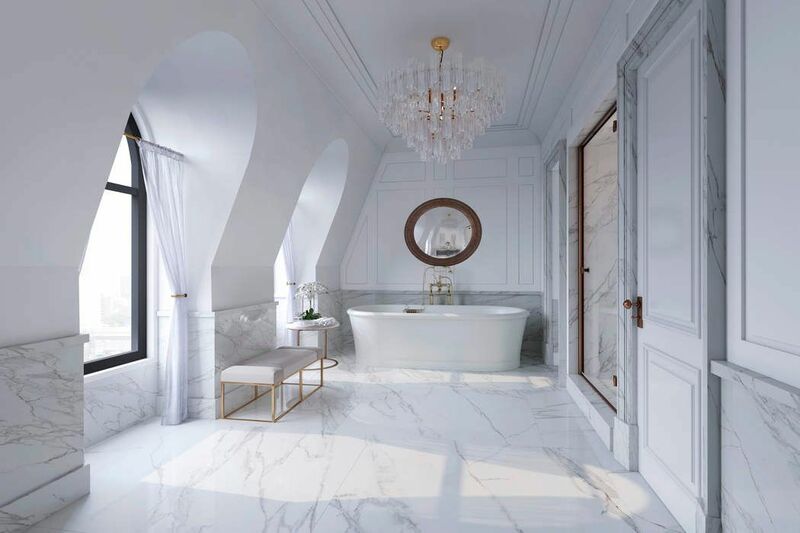 34 East 62nd Street, New York, NY 10065 | Sotheby's International Realty, Inc.
$23,900,000 5 Bedrooms6 Full / 2 Partial Baths9,200 sq. ft.
AN HISTORIC MOMENT. 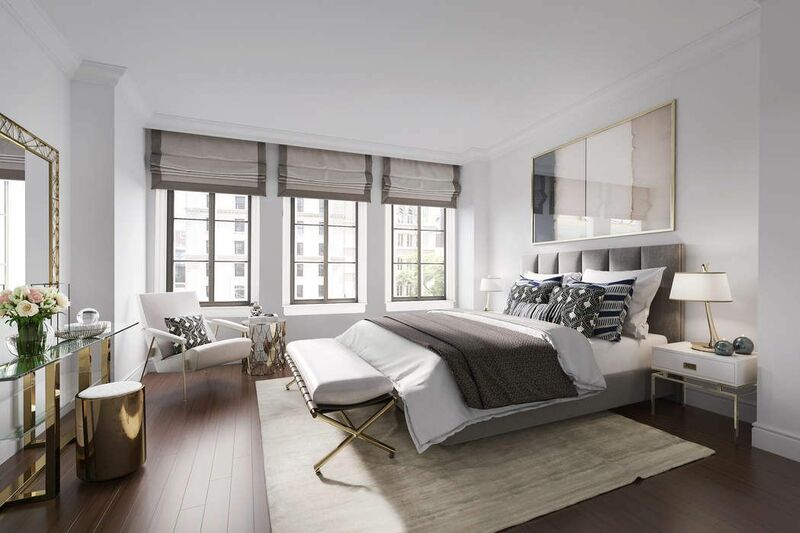 In recent Manhattan history, it is rare for a Townhouse to be completely newly built from the ground up in the coveted, Upper East Side Historic District. 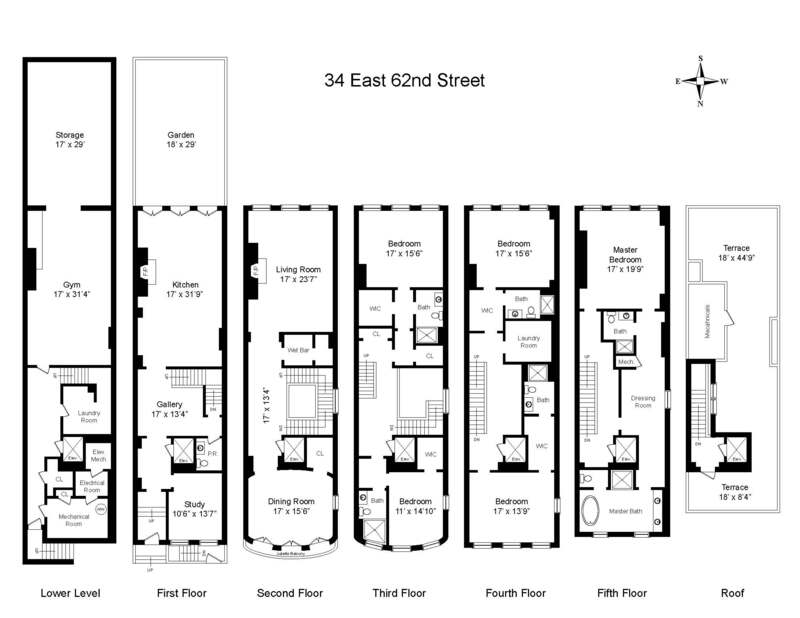 34 East 62nd Street, a totally new 20-foot wide, approx. 9,200 s.f., 5-story home revels in this distinction. 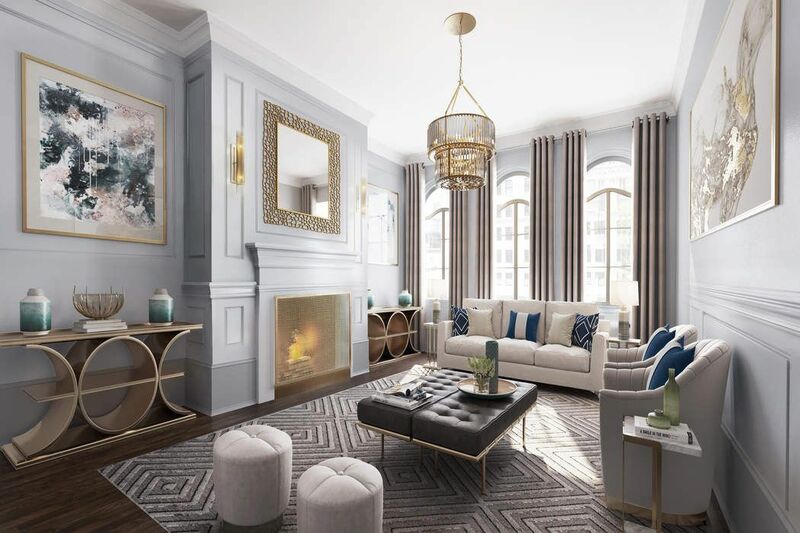 HS Jessup Architects designed this majestically sleek and modern Beaux Arts inspired Mansion between Madison and Park Avenues. The facade beckons back to the turn of the last century with its sumptuous facade, clad in French Limestone. The beauty of this sun-filled home with South, North and West exposures, is accentuated by oversized bowed windows in a sleek modern frame and crowned with a dramatic slate Mansard roof. The entry is framed by beautifully rusticated limestone. 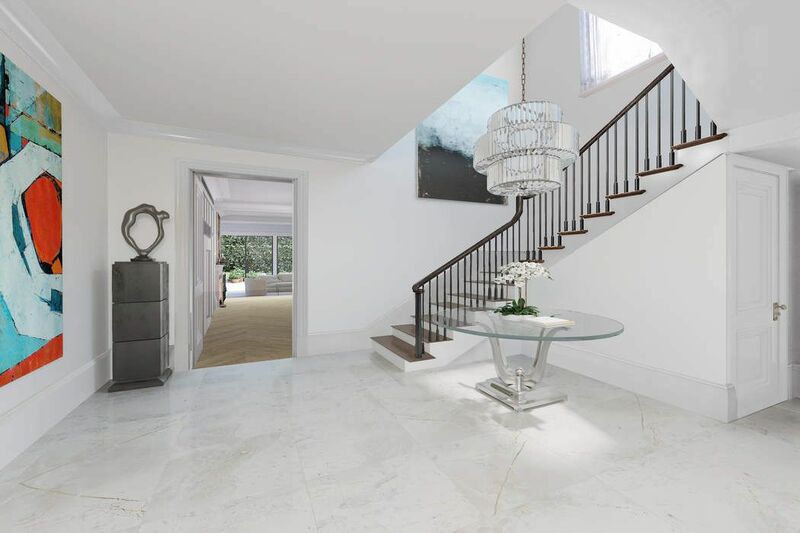 The Entry Hall opens to a gracious Gallery showcasing a handsome staircase accented by an architectural West facing window. The oversized Kitchen/Media Room with a fireplace, looks out onto a grand, south facing, Garden. 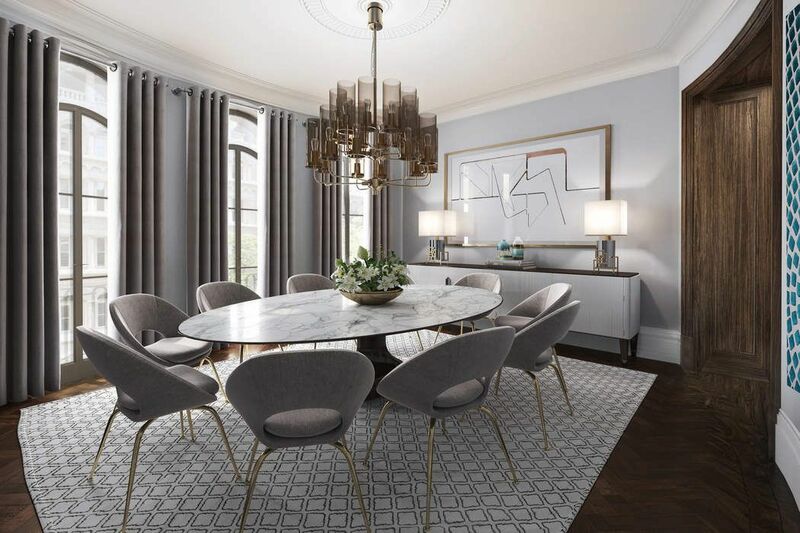 A gracious second floor landing introduces the Entertaining Floor which leads to a spectacular Formal Dining Room, Butler’s Pantry and stately, grand Living Room with dramatic ceiling heights of 11’ 6”. The 3rd and 4th floors contain four Bedroom with 10’6” ceiling heights and 4 en-suite Bathrooms, plus a full-sized Laundry Room. 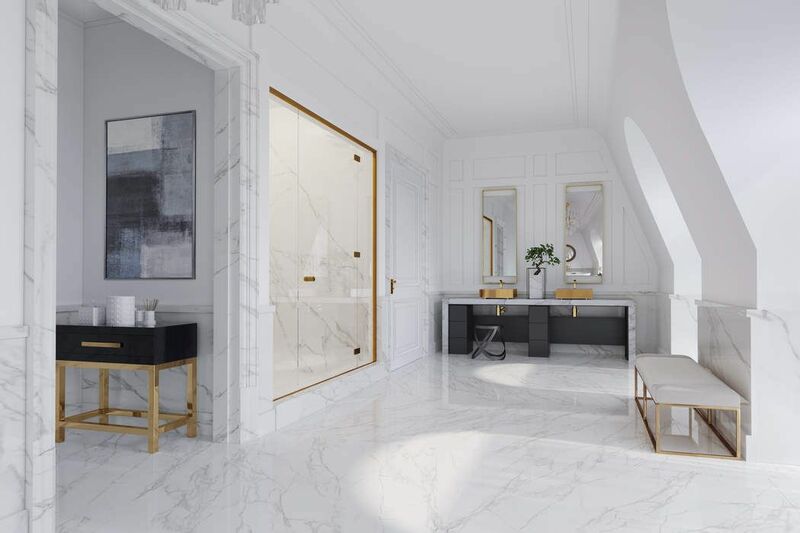 The Grand Master 5th floor Bedroom Suite has soaring ceiling heights, an oversized Bedroom, a gallery Dressing Room and 2 luxurious Bathrooms en-suite. 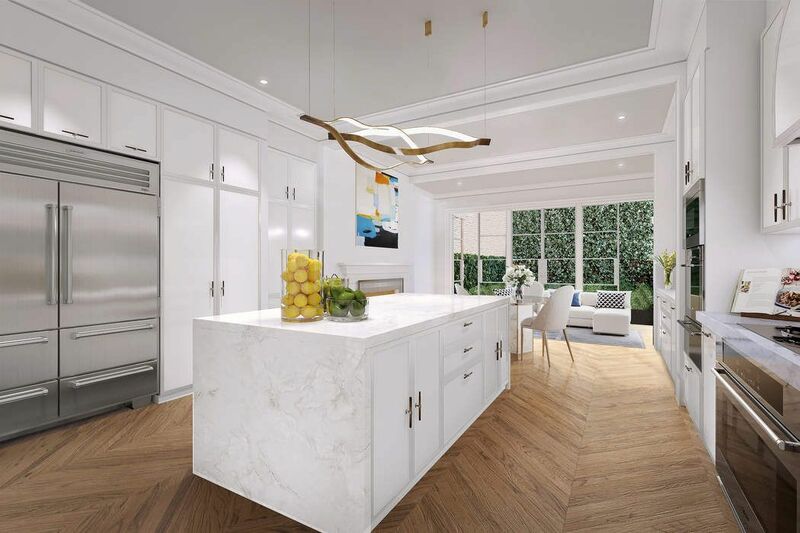 A full height cellar with a separate staff entrance, abundant storage and flexibility for a wine cellar, fitness center, a home theater and more. An elevator services the Lower Level to the approx 1,400 s.f. Roof Deck with spectacular views of Manhattan’s skyline. 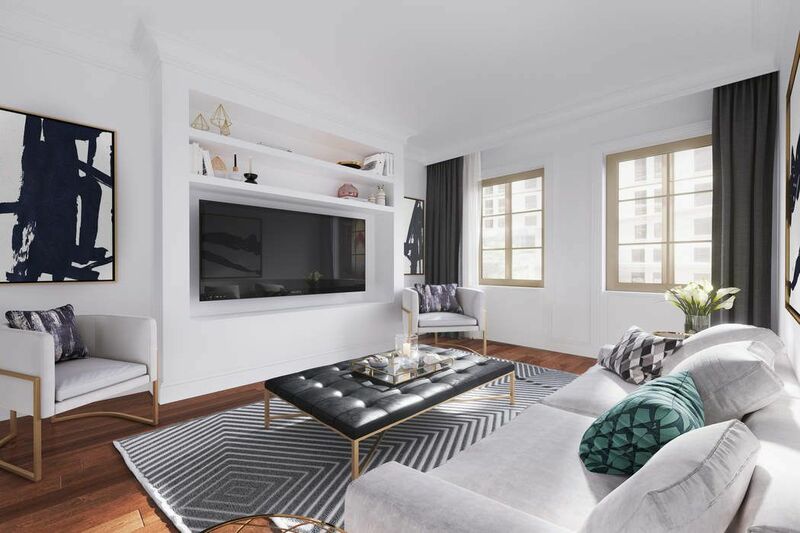 34 East 62nd Street features world class construction, technology and new mechanicals. In all - the finest modern conveniences while offering grand architectural details. This newly built home is delivered in designer ready condition for personal customization. 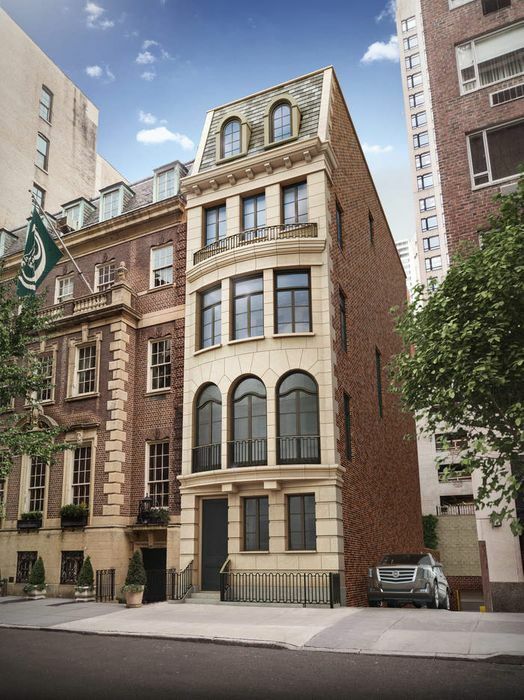 The Wall Street Journal, "Manhattan Townhouse Asks $32.5 Million"
The Real Deal, "For Just $33M, You Can Live in Luxury"
Curbed New York, "$32.5M Beaux Arts-Inspired Mansion"